Solid welded door panels with steel machined lockable latch assembly. Preassembled, modular, welded panels. Advanced engineered, triple-layer, rip-stop waterproof polyethylene cover. Four point adjustable cover tie downs keep cover tight to frame. 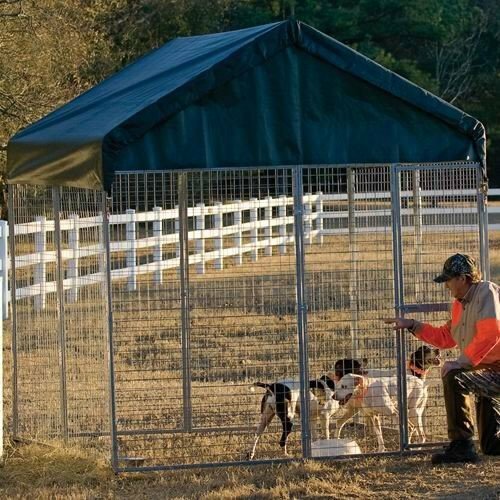 Kennel Lift Spacers add stability and allow for easy clean-out. Innovative integrated Push button snap roof design with electroless Nickelplated powder coat connectors assemble in minutes.